Hotels-New-Zealand is a group of independently owned and non-related hotels, motels and serviced apartments providing accommodation located across Bay of islands and Paihia New Zealand. Hotels New Zealand allows you to deal directly with the hotels giving you the best possible rates for these Bay of islands paihia hotels. Book your accommodation online directly with the hotels in Bay of islands paihia and save !!! If you are looking for luxury 5 star Paihia accommodation in the heart of the New Zealand Bay of Islands then look no further than the Edgewater Palms Apartments. It is set in a truly superb location opposite the main beach with safe harbour swimming and surrounded by the local restaurants, cafes and bars of Paihia town. 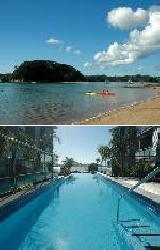 Guests at the Edgewater Palms Apartments can enjoy Paihia's relaxing Bay of Island's lifestyle with your own private deck and spacious lounge room enjoying panoramic vistas and sea views in these 1 and 2 bedroom waterfront apartments. This Bay of Islands accommodation boasts a modern, fully equipped kitchen & laundry, Sky TV, DVD player, underfloor heating, access to the gated infinity saltwater swimming pool and hot spa, as well as Paihia's golden sands, shimmering water and nearby islands. 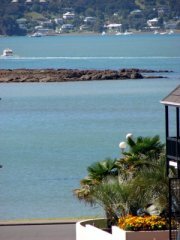 The apartments accommodation at Paihia's Edgewater Palms is perfect for larger families and friends travelling together. The staff at Paihia's Edgewater Palms Apartments make every effort to ensure that your stay in the Bay of Islands is both enjoyable and memorable. The accommodation provided by the Russell Cottages comes in the form of luxuriously appointed 1, 2, 3 & 4 bedroom fully self contained cottages that are ideally set in the beautiful Bay of Islands. Perfectly situated in a tranquil and historic location the Russell Cottages are a great base from which to explore the magnificent Bay of Islands, which is one of New Zealand's most popular holiday destinations that is famous for its rich marine wildlife, clear blue water, secluded beaches, history and scenery. 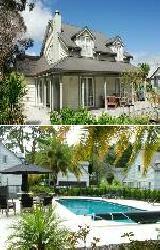 The Russell Cottages provides all types of travellers with discount accommodation in Bay of Islands. It also features a wide range of modern amenities and services such as conference centre, direct internet access, free car parking, guest laundry, spa, outdoor swimming pool, tour desk, bbq facilities, entertaining area, luggage storage, children's playground and baby cots available for hire to families. 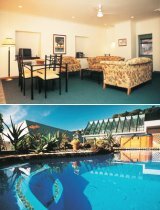 The Tanoa Paihia Hotel provides a selection of affordable hotel accommodation in the beautiful Bay of Islands. Surrounded by attractive natural bush, the Tanoa Paihia Hotel is ideally located just 5 minutes walk from the Paihia town centre, shops, restaurants and the Paihaia wharf. The Tanoa Paihia Hotel provides all types of travellers with discount accommodation in Bay of Islands. It also features a wide range of modern amenities and services such as lounge bar, child minding, direct internet access, disabled facilities, free car parking, guest laundry, restaurant, room service, outdoor swimming pool, tour desk, security, BBQ facilities and entertaining area, daily newspapers, landscaped garden, safety deposit boxes, interconnecting rooms and daily housekeeping. The business facilities at the Tanoa Paihia Hotel include WIFI throughout the hotel, faxing facilities and photocopying services. The Aarangi Tui Motel offers studio, 1 & 2 bedroom apartment accommodation in the heart of Paihia in the magical Bay of Islands. The Aarangi Tui Motel & Apartments in Paihia is only a short 150 metre stroll from the Paihia shops, restaurants, wharf, beaches and a flat walk to an extensive of range water-based activities, including the Hole in the Rock cruises, sailing, swimming with dolphins, kayaking, parasailing and safe swimming. The Aarangi Tui Motel provides all types of travellers with discount accommodation in Bay of Islands and features a wide range of modern amenities and services such as direct internet access, free car parking, guest laundry, tennis court, tour desk, garden area, boat parking, picnic and BBQ facilities. The Durham Motor Inn offers studio & 1 bedroom apartments within easy walking distance to the Tauranga City Centre, making it ideal for business & leisure travellers. The Durham Motor Inn is situated next to the courthouse and just behind Baycourt, making it centrally located within easy walking distance to restaurants, cafes, shops and the Tauranga CBD. The Durham Motor Inn provides all types of travellers with discount accommodation in Bay of Plenty. It also features a wide range of modern amenities and services such as free car parking, guest laundry, room service, outdoor swimming pool and tour desk. The Durham Motor Inn Apartments cater for business corporate travellers with Wireless Broadband internet access in all apartments, a business centre, secretarial services, faxing/photocopying services and conference facilities. You really do get it all at Durham Motor Inn. 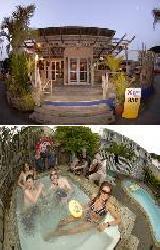 The Base Backpacker Hostel in the Bay of Islands offers funky hostel and hotel accommodation just 50 metres from the beach in Paihia. Ideally positioned in the heart of the Bay of Islands, Base Bay of Island Backpackers Hostel offers cheap accommodation that is suitable for all guest budgets with a range of private and shared rooms. The Base Bay of Islands has numerous guests facilities and services including lounge bar, direct internet access, free car parking, guest laundry, spa, outdoor swimming pool, tour desk, bbq, garden and daily housekeeping. Other guest facilities and services include luggage storage, Free bike hire exclusively for hostel guests, under bed lockers in multi-share rooms, sun deck chill out area, wheelchair accessibility, TV lounge with DVD player and Global Gossip High speed wireless Internet access. For quality budget accommodation in the heart of the Bay of Islands, then the award winning Base Bay of Island Backpackers are the place to stay. The Baystay Bed and Breakfast provides quality accommodation in Paihia in the heart of the magical Bay of Islands. Guests can enjoy the wonderful valley views from the comfort of a spa pool or make the most of the numerous guests facilities and services including lounge bar, direct internet access, faxing facilities, free car parking, spa, tour desk and bbq area. The Baystay Bed and Breakfast Paihia is located in the heart of Northlands beautiful Bay of Islands, from where you can visit romantic Russell, historic Kerikeri and lively Paihia and is close to everything that the city has to offer. Overlooking the Waitangi River or keeping in contact with your love ones using PC facilities, Baystay is the perfect place to indulge yourself on your special Bay of Islands holiday. The Bounty Inn Paihia is ideally located in a quiet bush setting and provides discount Bay of Islands accommodation at great value for money rates. With a central location the studio, 1 & 2 bedroom apartments at the Bounty Inn all feature kitchen, ensuite bathroom, hair dryer, queen/king size beds, wireless internet, garden patio or generous balcony, many of which jave extensive sea views. A short stroll from this budget Paihia accommodation is the beach, restaurants, shops, wharf and the top tourist attractions in the Bay of Islands. The quality self contained motel rooms are ideal for families, groups and individuals staying in Paihia and the Bay of Islands for both holiday and business. The Beachside Holiday Park is located between a secluded bay and native bush and is just 3kms from Paihia. This Bay of Islands accommodation has something for everyone with family cabins, tourist flats, continental cabins, onsite caravans, campsites and powered sites ideal for campervans. The resort facilities at the Beachside Holiday Park include a communal kitchen, microwave, sinks, gas benchtop elements, toilets/showers, auto laundry with ironing facilities, camp store, cardphone available, TV lounge, wireless internet, gas barbecue, kayaks for hire, boat ramp, fishing, swimming and boating. Nestled next to the beach near Paihia in the Bay of Islands, the Beachside Holiday Park is the ideal place to relax and explore the surrounding region and all that it has to offer. The Palm Grove Cottages Motel provides quality Bay of Islands accommodation and is the perfect base for exploring New Zealand's Far North. It is located just 3 minutes to the Kerikeri township and is set in 5 acres of secluded subtropical gardens. This Bay of Islands accommodation consists of fully self-contained studio apartments with a kitchen, laundry, 40+ channel Sky Digital TV, private deck with outdoor furniture, barbecues and lawn areas. The Palm Grove Cottages is postioned within 3kms of local historical attractions and golf courses and is popular with families as well as singles and couples looking for incredible peace and privacy. Holiday makers staying in this Bay of Islands accommodation will be enchanted with the feeling of old New Zealand cottages set gently amongst acres of lush tropical gardens. They can stroll along hidden paths, relax on their own private deck or take the shade on the covered veranda. 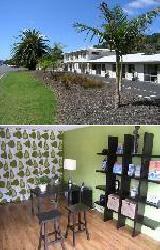 The Anchorage Motel is the first motel on the waterfront from south and is situated only 500m from the Paihia wharf. This fully self-contained Bay of Islands accommodation is serviced daily and features a fully equipped kitchen, microwave, shower, hair dryer, king size beds, phone, wireless internet, 3-channel Sky TV, electric blankets, heating, ironing facilities and sea views. 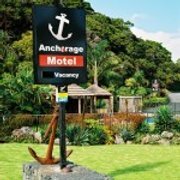 There is also a cooked or continental breakfast available, large swimming pool, undercover spa pool in garden setting, guest laundry, tour desk, off-street car parking and ample boat parking at the Anchorage Hotel Paihia. Guests can make the most of this spacious, luxury Paihia accommodation which has been designed for comfort and relaxation in the subtropical Bay of Islands, which is the recreational hub of historic Northland. 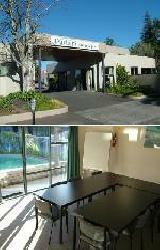 The Hotel Paihia offers wonderful hotel accommodation in the spectacular Bay of Islands, New Zealand. The Hotel Paihia is ideally situated in a peaceful bush setting but is only 400 metres from the waterfront and the shops and restaurants of the Paihia township. Whilst you are relaxing in this lovely Bay of Islands accommodation you can enjoy some of the hotels features, which include an outdoor swimming pool and spa, in-house videas, BBQ area and a licensed restaurant and bar. If you want a relaxing family holiday then stay of the Hotel Paihia in New Zealnd's favourite holiday destination, the Bay of Islands. The Kingsgate Hotel Autolodge is ideally positioned on the waterfront, only 100 metres from the Paihia wharf and township. All of the accommodation suites at the Kingsgate Hotel feature a kitchen with microwave oven, spa bath and air-conditioning. This affordable Paihia accommodation provides both families and couples with a fantastic holiday location in the beautiful Bay of Islands. The Aarangi Tui Hotel is the perfect Paihia accommodation is you are looking for an affordable holiday in the Bay Of Islands New Zealand. Situated in a central location only 2 minutes walk to the bus depot, wharf, shops and restaurants, adjacent to the ex-servicemans club and close to the golf course and other Paihia tourist attractions the Aarangi Tui Motel provides quiet and affordable unit accommodation in the Bay of Islands. Luxury waterfront Paihia accommodation with spectacular sea views across the Bay of Islands is what the Abel Tasman Lodge offers holiday makers. This affordable holiday accommodation is positioned just a short 2 minute level walk into the town centre and wharf area. The self contained luxury 1 bedroom apartments at the Abel Tasman Lodge includes fully equipped kitchens, in-house videos, Sky TV, guest laundry, 2 spa pools and free car parking. 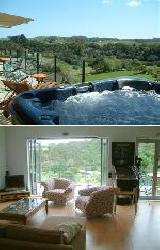 Fantastic apartment accommodation in the heart of the magnificent Bay Of Islands, New Zealand. The Admiral's View Lodge is ideally situated in a quiet location with no noise and sea views which makes in the perfect Paihia accommodation for your next holiday in the Bay Of Islands, New Zealand. The qualmark 5 star self contained 1 and 2 bedroom serviced apartment accommodation provided by the Admiral's View Lodge comes complete with an array of luxury facilities including Italian style bathrooms with extra large showers, air-conditioning, Sky TV, guest laundry and free bike hire. For tranquil idyllic holiday Paihia accommodation and a first class friendly atmosphere with awesome sea views across the Bay Of Islands stay at the Allure Lodge Hotel Paihia. This spacious accommodation is set on 3/4 acre of bush covered hillside at the southern end of the Paihia township with extensive views of the waterfront across the bay to Waitangi and the Kerikeri Inlet. The Allure Lodge Hotel Paihia is positioned close to cafes and restaurants and offers affordable holiday accommodation in the Bay Of Islands with your very own private deck and barbeque. Aloha Seaview Resort is situated in an unrivalled setting of two hactares, surrounded by native bush and plentiful birdlife with lush landscaped gardens. The 1 and 2 bedroom apartments are spaces around the Paihia resort which includes a swimming pool, spa pool, barbeque entertaining areas, games room, guest laundry, conference cetre and tour booking office. This luxury Paihia accommodation is quiet and restful with breathtaking sea views only minutes to the waterfront and city centre of Paihia. The Bay Of islands Gateway Hotel is situated only 75 metres from Paihia's main swimming beach and 1km from the town centre. The large non smoking apartment units at the Bay Of islands Gateway Motel are serviced daily, have a fully equipped kitchen and provides the ideal discount Paihia accommodation for the budget conscious traveler who is looking for an affordable holiday in the Bay Of Islands New Zealand. The luxury water front apartments at the Bay View Motel features a fulyl equipped kitchen with dishwasher, queen size bed, Sky TV, in-house videos, private heated spa, BBQ, laundry and off street car parking. This spacious deluxe Paihia accommodation is situated in a wonderful central location with lovely views across the serene waters of the Bay Of Islands. The Bounty Inn Apartments iare serviced daily and provide the perfect Paihia accommodation for those people looking for an affordable holiday in the Bay Of Islands. Situated close to the beach and Paihia town centre the Bounty Inn Apartments features a licensed restaurant, spa pool, BBQ area, in-house videos. sightseeing, golf and fishing for family holiday makers or large groups. Friendly hospitality is what the Bounty Inn Apartments Paihia is known for. The Edelweiss Motel is a quality self contained motel which includes studio apartments, spa suites and family apartment units. This Paihia accommodation offers a friendly atmosphere, a comfortable stay and discount value for money. All of the accommodation units at the Edelweiss Motel Paihia are serviced daily and the resort style facilities include a heated swimming pool set in a tropical garden setting, spa pool, covered BBQ area and tennis court facilities.